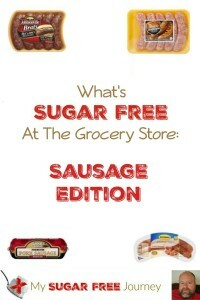 What's Sugar Free at The Grocery Store: Sausage Edition! It’s time for another What’s Sugar Free at the Grocery Store! 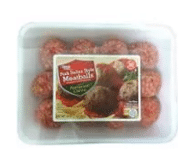 This week we are looking at the dinner sausages and a few breakfast sausages. I was really excited about doing this because I LOVE sausage and cutting up a few sausages with peppers and onions is one of my favorite meals. However, in doing this I was surprised to find out that most of them had sugars added, just not any of the sugar that contain fructose. So in making this list, I’ve only included varieties that contain no added sugar with fructose but I’ve included the sugars with glucose in parenthesis after the product. This way you can make an informed decision about what to buy. This list was made by looking at the sausage at a Walmart so that’s why all the Great Value (Walmart’s house brand) products are included. If you shop at a different store, you will need to check those house brands for yourself. PREVIOUS POST Previous post: 5/4 Weightloss Wednesday: 31 Lbs Down! NEXT POST Next post: Grilled Garlic Green Beans Recipe! This is the worst article I’ve ever seen! None of the sausage you listed was sugar free! That’s horrible. Ya know, jimmy Dean makes one, this list skills be what not to eat. I am pretty sure you don’t know what you are talking about. I don’t know about “wost article ever seen” but I understand being frustrated,, looking for a list of sausage with no sugar not the ones that have it. The author obviously did no research and should be ashamed to have posted this crap. There is a sugar free keilbasa but it’s not mentioned here at all. You had the opportunity to make the next reader smarter and more well informed and you decided to be a troll. Spread sunshine when you can. Yeah, it is TOUGH to find sausage without sugar. You might try calling a local butcher and asking if they make their sausage in-house and seeing if they can adjust the seasoning for you. hey, look at trader joes chicken breakfast sausage.. zero carbs. does contain dextrose and some other ingredients. probably not much. also, I hear albertsons ivernios brand is even better. on the bacon, I would go with low sodium bacon. I havent found decent brats yet. I also spent time today looking for sugar free,corn syrup free, dextrose free, lactose free and all the other names big food companies hide sugar under. vERY frustrating. 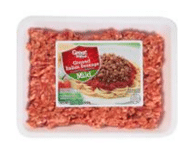 So I just bought some ground pork and will add my own spices. Garlic, fennel,sage, rosemary, it’s going on a be a fun experiment experiment! I’m not going to lie, this might be your best option. Another thing you might consider is finding an actual butcher/meat market that makes sausage in house. Of course when I did that trying to find bacon without sugar I struck out so your mileage may vary. perhaps a local butcher has a in house sausage without sugar. He is making the point that there are NO sugar free sausages. Apparently he missed Jimmy Dean (I have not independently verified this). Isn’t this better than just saying “none”? So none of the sausages youshow are sugar free, is that the kick here ? 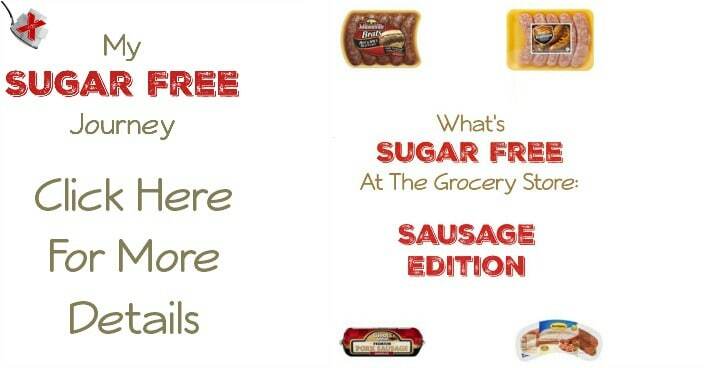 That there are no sugar free sausages ?